The Reception Insert Card provides guests with additional details about where you will be having your reception. If you are looking for a larger card to provide details like hotel information, registry info or more, please see the link below for the larger guest information card. 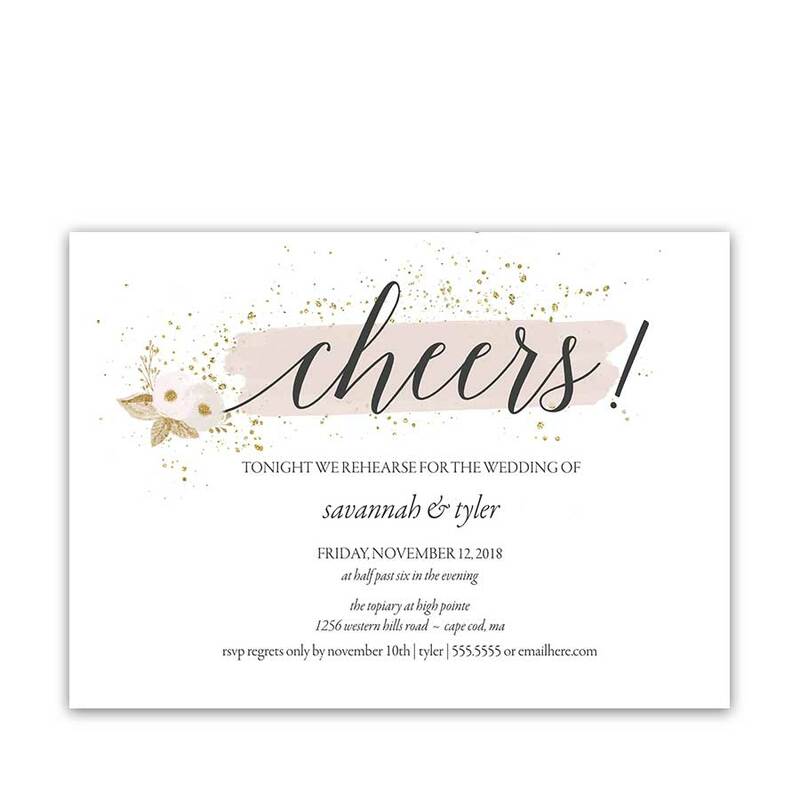 Gold Floral Wedding Reception Information Cards. The card only provides details about the location and time of your wedding reception. In the event that you prefer a larger card for more details, please also see the links below. Welcome to the Morgan Collection. 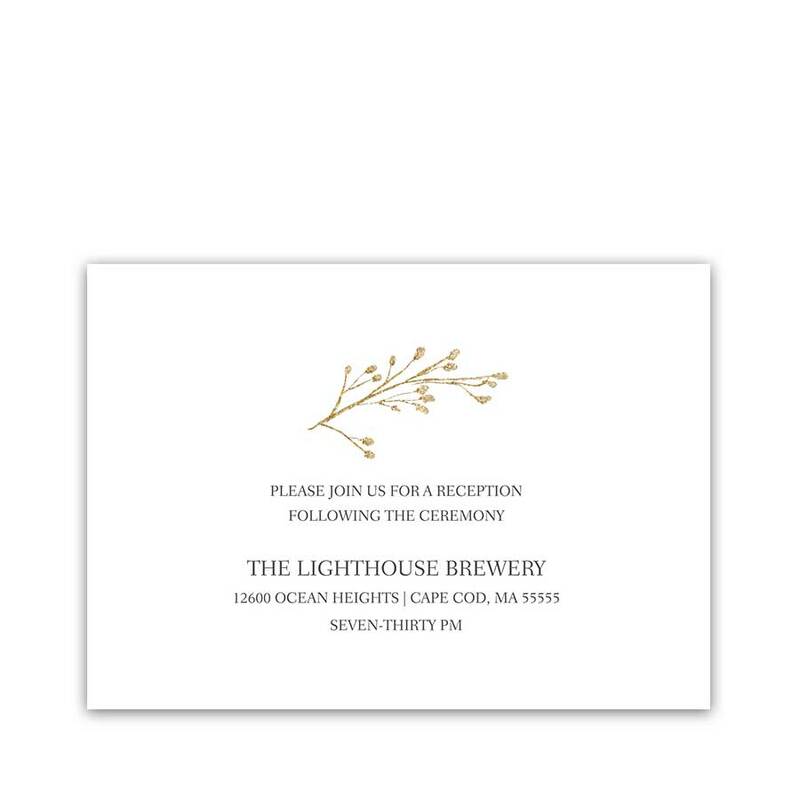 The reception card has a white background and gold accents. 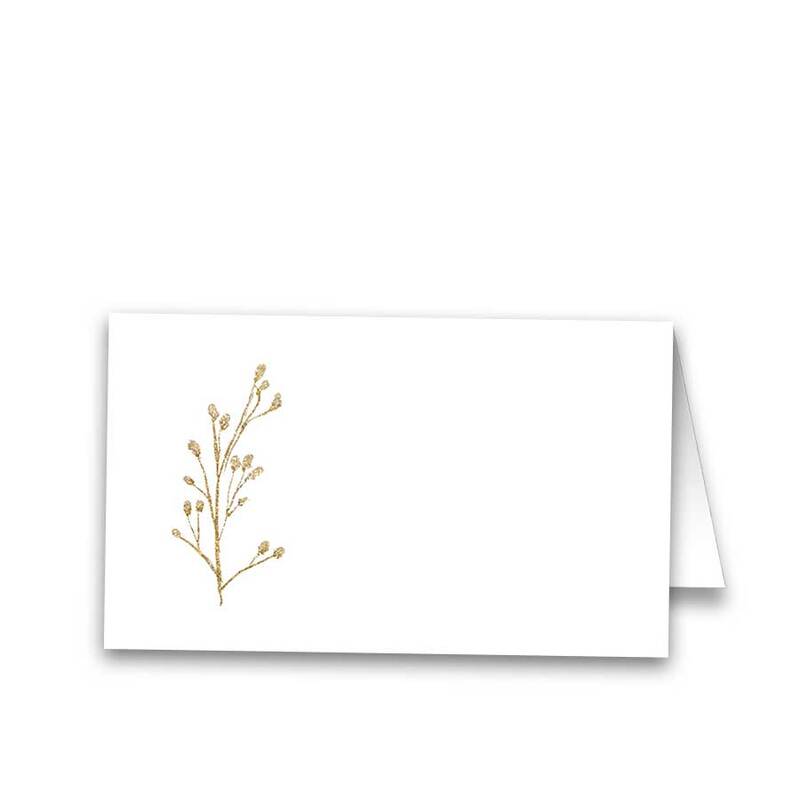 Having this card inserted into the wedding invitation will allow guests to know where your reception will be held. Especially relevant for: industrial weddings, urban weddings, floral wedding celebrations, gold weddings, bohemian weddings, outdoor weddings and formally appointed weddings alike in summer, winter or fall. The Gold Floral Wedding Reception Information Cards are prepared especially for you as a 5 x 3.5 card. The card fits into the main outer envelope and is one sided. There is limited room on this card which is designed ONLY to provide a time and details about your wedding reception. You have the option to select your choice of card stocks. Choices available are Signature paper and an optional upgrade to Cotton Savoy 19pt.